Be sure to pick up the latest copy of Pet Age magazine. 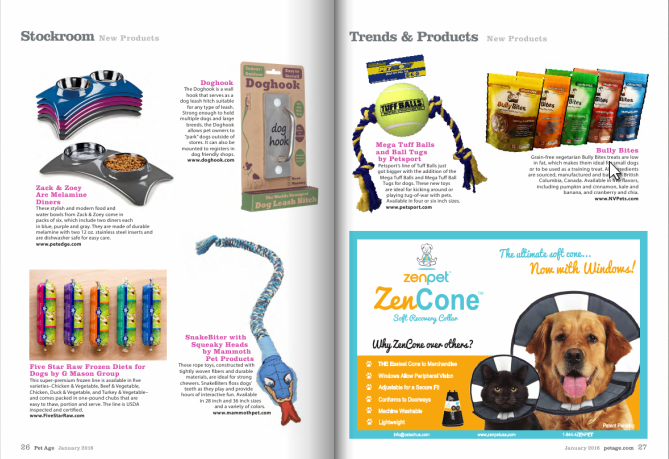 On page 29, you will find our advertisement featuring the Zen Pet™ Zen Cone! Contact us with any questions about orders and retailers in your area. Zen Pet Launches a New Site for 2016! Sign Up For Our Newsletter to receive updates about our latest products and more.